We proudly recommend Heejin Kim of JVM Lending to be your first call if you have any mortgage questions. From small condos to Luxury Homes, in any city in the East Bay, Heejin and her team are there to help. First time home buyers, refinancing, preapproval, or just general loan info, a quick call will do it all. 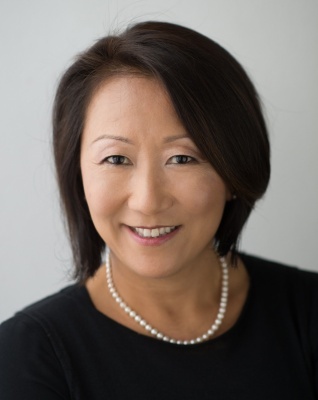 Heejin Kim Voorhees is a partner at JVM Lending, and is a licensed broker with over twenty five years of experience in every facet of the mortgage industry. Heejin started her career in back-office operations with several major mortgage companies before moving on to become one of the Bay Area’s top producing independent mortgage brokers. In 1999, Heejin founded her own mortgage company that grew to over 50 employees and achieved profits well into the seven-figure range in a few short years. At the peak of her success in 2004, Heejin sold her company in order to pursue opportunities in the wholesale arena. After a highly successful foray in wholesale with two major mortgage banks, Heejin returned to the broker-world and became a partner at JVM Lending in 2007. Heejin implemented JVM’s highly efficient technology-based infrastructure and its expansion into mortgage banking. Heejin’s success and exposure to so many aspects of the mortgage industry proved invaluable as JVM transitioned from a small broker to a large company renowned for its expertise, efficient operations and extraordinary service. the mortgage industry. Heejin started her career in back-office operations with several major mortgage companies before moving on to become one of the Bay Area’s top producing independent mortgage brokers. In 1999, Heejin founded her own mortgage company that grew to over 50 employees and achieved profits well into the seven-figure range in a few short years. At the peak of her success in 2004, Heejin sold her company in order to pursue opportunities in the wholesale arena. Heejin was born in Seoul, Korea, and grew up in Orange County before moving to the Bay Area in 1995. Currently, Heejin resides in Alamo with husband Jay and her 17 year old daughter. JVM Lending is a professional residential mortgage company, offering services to residents throughout California. JVM's entire staff is exceptionally well-educated and extraordinarily well-trained – something that is both unique and necessary in today’s very complex lending environment. With an unusually large network of lending sources, JVM takes pride in pairing borrowers with the best financing options available. They have a uniquely polished and systematic process that ensures that every transaction flows as smoothly as possible. This is why JVM offers the fastest closing periods and also why they have so many raving fans on both Yelp and their website. JVM Lending’s business hours are 8 AM to 6 PM, Monday – Friday. Voice mails to our main line (925.855.4491) and emails to jvmteam@jvmlending.com are regularly checked after hours. Heejin Kim is available by cell phone at (510) 710-3432 at any time as well.